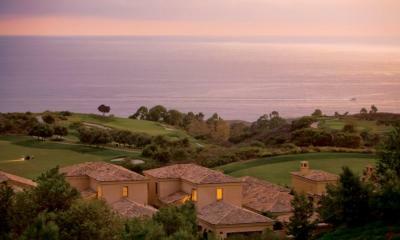 The Resort at Pelican Hill is settled between the exclusive communities of Laguna Beach and Newport Beach. It is located a short 15-minute drive from Orange County's John Wayne Airport and a 30-minute drive from Long Beach Airport and a 45-minute drive from LAX - Los Angeles International Airport. leading luxury travel magazine, Condè Nast Traveler. Pelican Hill Resort and Spa offers the amenities of an ultra luxury hotel with the relaxed comforts of a home away from home. The resort offers the golf lover 2 amazing oceanview courses designed by Tom Fazio to go along with all the other luxury resort amenities. 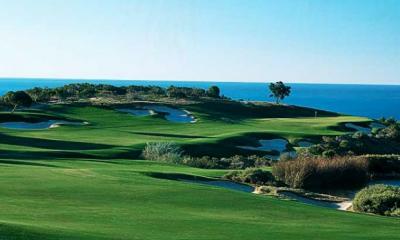 Truly the ideal destination for your corporate or group golf "Special Event". Bungalow Guest Rooms & Suites: Guest rooms that are clustered in one-story Bungalows with private terraces, fireplaces and private parking. 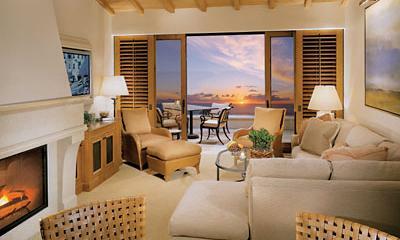 Most rooms offer amazing ocean views. The Villas: A private enclave within the Main Resort featuring the North & South Villas with two, three & four bedrooms. They offer a private clubhouse with gracious great room, dining room, fitness center, infinity pool with luxurious cabanas, whirlpool spa and children's wading pool. Most Villas offer expansive ocean views. They also offer private staff and butler service when required. Pelican Hill Golf Club: 36-championship holes of Tom Fazio-designed golf, casually elegant Clubhouse, men and women's locker rooms, Golf Shop, Pelican Hill Golf Academy, professional forecaddies, Caffè II and Pelican Grill & Lounge. Pelican Hill Ocean North and Pelican Hill Ocean South, covering nearly 400 picturesque acres, were conceived in harmony with the natural environment. Originally designed in the early 1990s by Tom Fazio, he returned, as he explained it, to “re-perfect” all 36 holes in a location that is “one of the most spectacular in golf.” While the sister courses offer two distinctly different playing experiences, they have a stunning characteristic in common: incredible ocean views from nearly every hole. 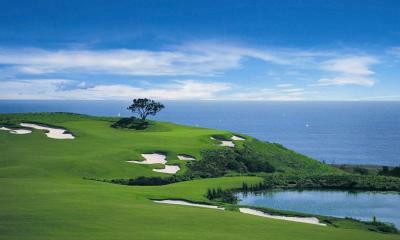 Ocean North is a par 71, and Ocean South a par 70. The Spa at Pelican Hill: 22 treatment rooms, Acqua Colonnade; includes separate men's & women's Relaxation Lounge, Roman-style bath, sauna & steam rooms. 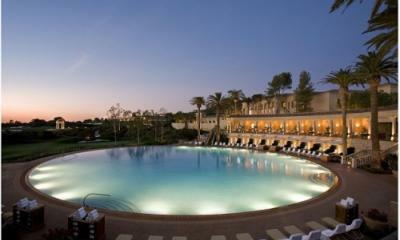 In addition, there is a Fitness Center, Salon, Spa Boutique and an extensive spa cuisine menu. Coliseum Pool: Inspired by its namesake, this pool is in a perfect circle 136 feet in diameter. Luxuriously furnished cabanas provide the perfect hideaway with food and beverage service available from the fun & casual Coliseum Grill. All five restaurants and cafés offer exquisite fare in an al fresco setting. Every meal can be enjoyed inside or outside on the heated ocean-view terraces.